Somewhere in the chaos of the last few weeks, my baby boy turned four. 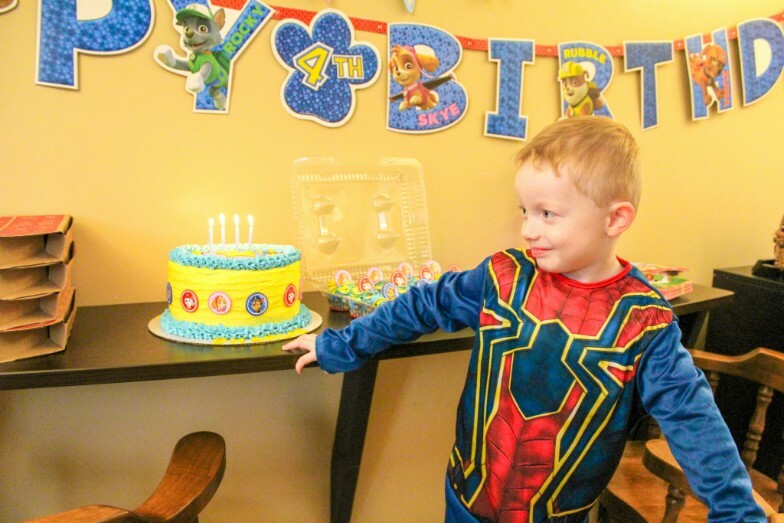 I somehow threw together a Paw Patrol-themed 4th Birthday "Pawty" for my little man in the middle of hosting family for Christmas and taking my Series 7 and my little man loved it! Normally, I would have taken more care in preparing a themed table filled with healthy munchies, but I just didn't have the bandwidth this year. So store-bought decorations and "Pup-peroni" pizza, for the win! Since Charlie is a winter birthday, we obviously couldn't throw him an outdoor party and our house just isn't big enough to host Chuck's large family, so I had the brilliant idea to ask a new and locally owned frozen yogurt shop if we could celebrate there. 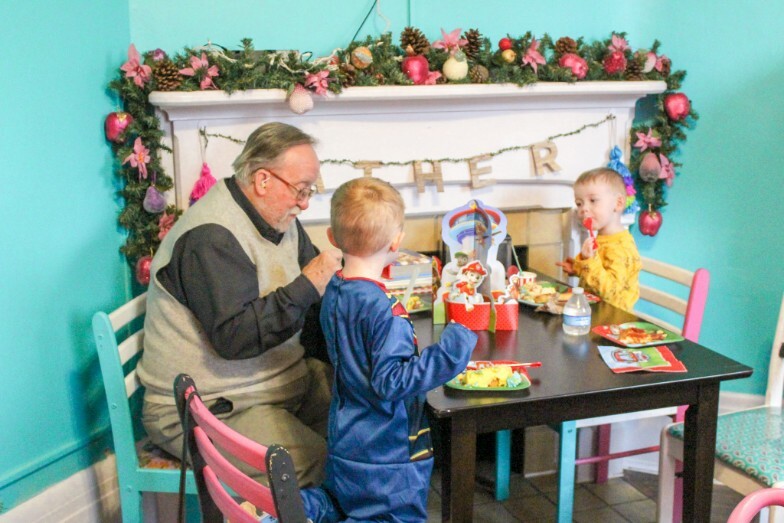 Papsy's Place was the cutest and coziest venue for our group and I'm so thankful that they opened up shop this past summer. They're the perfect addition to our little town's Main Street. We sang "Happy Birthday" as soon as our guests arrived so the little ones could get right down to the good stuff- birthday cake and frozen yogurt! 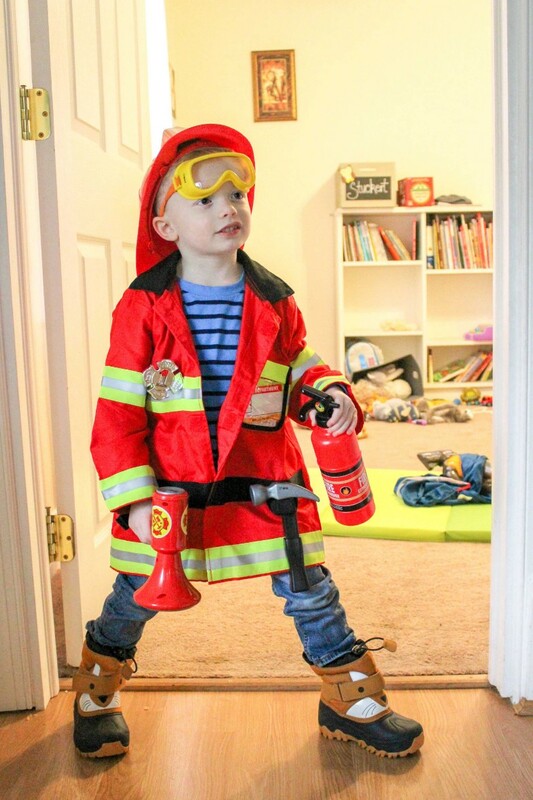 Once everyone was done loading up on sugar, the birthday boy opened his gifts and had a lot of fun being a fireman with his cousin Lucie and little brother. 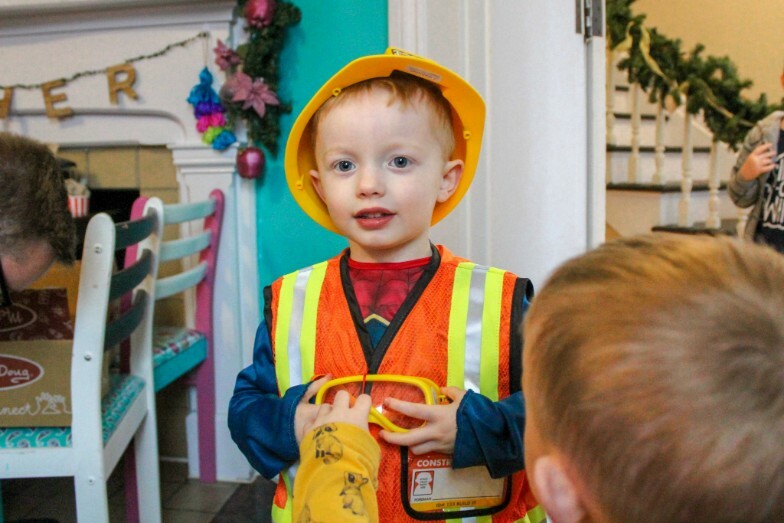 My boys are in a stage where they looove role playing and it's so stinkin' adorable! The party was wrapped up within an hour and a half (Hallelujah!) and it was the perfect amount of time for celebrating with family and getting the kiddos home in time for a nap. 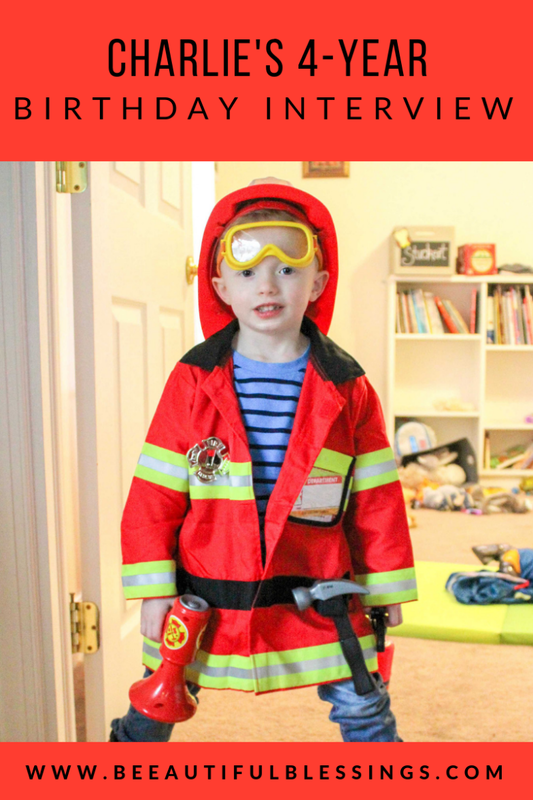 Favorite pastime(s): "Play on the floor" and "play with toys"
Favorite animal: "A T-Rex dinosaur"
When I grow up, I want to be: "A fireman"
I told my sister the other day that I think four is already my favorite age. I love that Charlie is getting better at listening to direction and loves to help Mommy and Daddy around the house. He continues to be fiercely independent, outrageously silly, and too smart for his own good. Although he has his naughty moments, for the most part he's a very sweet and nurturing older brother to Cros and truly loves his little bro. I adore watching them play together and I love just talking to my sweet little guy and hearing the funny things he comes up with. I love you so much, Charlie Davis and I am so proud to be your Mama.